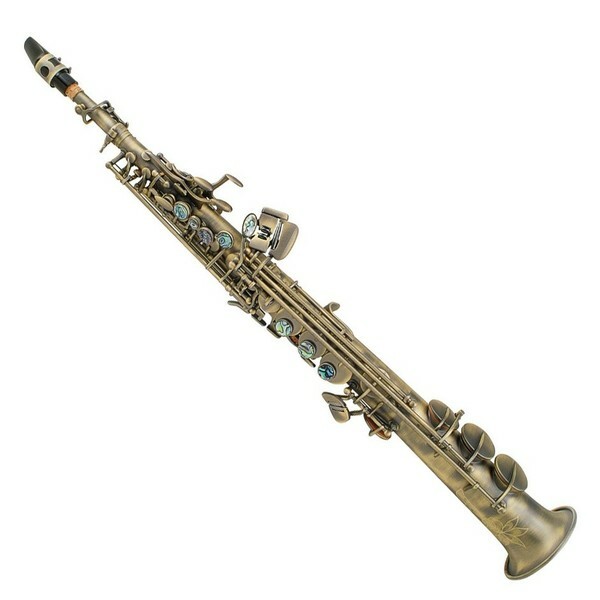 The P Mauriat System 76 Soprano Saxophone is ideal for the advanced ensemble musician. The gold brass body offers a warm sound with a range of complex overtones. The soprano size naturally produces generous high frequencies, making it a suitable addition to orchestral bands. This model benefits from both straight and curved neck options to fit your exact preference. The 76's genuine abalone key touches and slim body shape make it ideal for musicians requiring a comfortable playability. 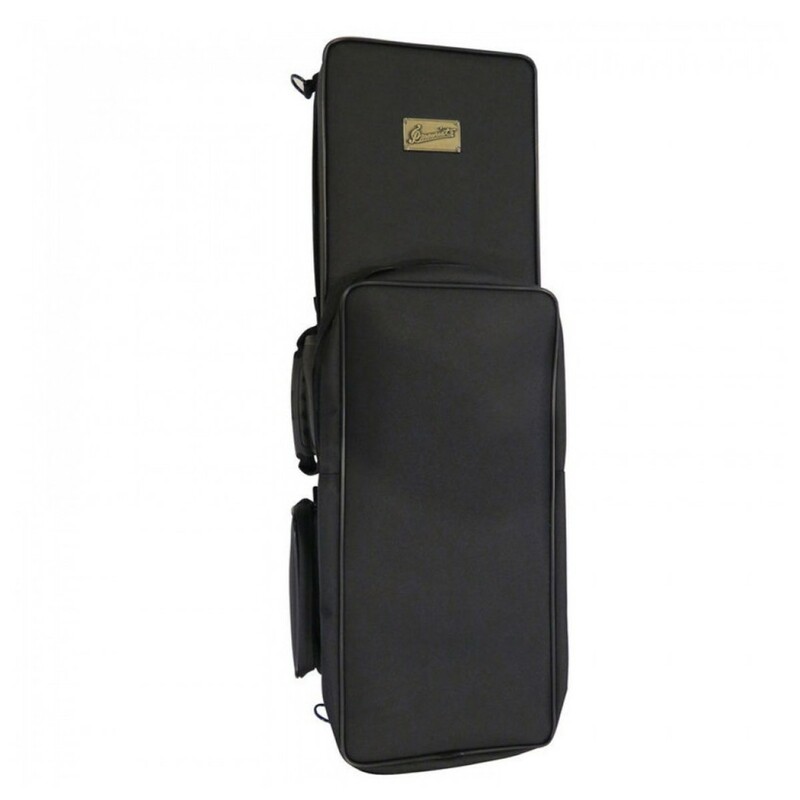 This model has a dark vintage finish for a classic look and includes a contoured case for easy portability. The System 76 series, now in its updated second generation, is ideal for the advanced performing musician. The bore and bells of each model have been redesigned to offer a more comfortable feel with the ability to quickly scale across the notes. This series also benefits from the renowned Super VI neck shape, with a wide diameter and a resonant sound. The System 76 instruments are hammered, engraved and drawn by hand in a traditional process. This attention to detail results in a more authentic sound and organic response. Each finish adds a subtle complexity to your overall sound as well as stunning aesthetics. For musicians who regularly gig and require an instrument to consistently perform with, the System 76 series is an ideal choice.